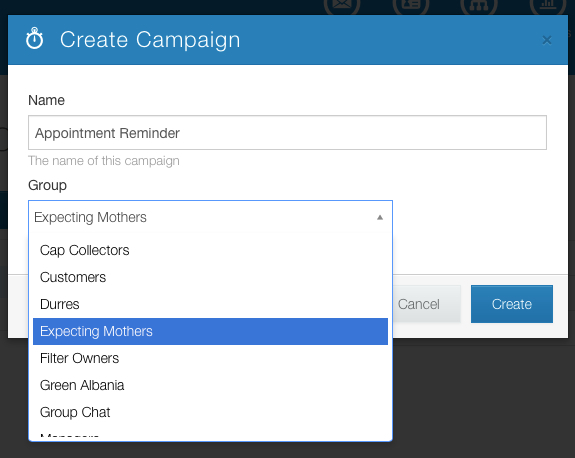 A campaign requires a name and a contact group to send campaign events to. Note that each campaign may only operate on one group. 1. Navigate to the campaigns tab. 2. 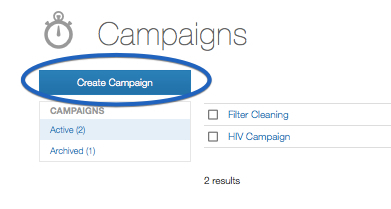 Click the "Create Campaign" button on the top left side of the page. 3. Give the campaign a name and select the contact group the campaign will operate on. Now you're ready to Add a Campaign Event.